Michael Botticelli (left) will be the first executive director of Boston Medical Center’s new Grayken Center for Addiction Medicine. 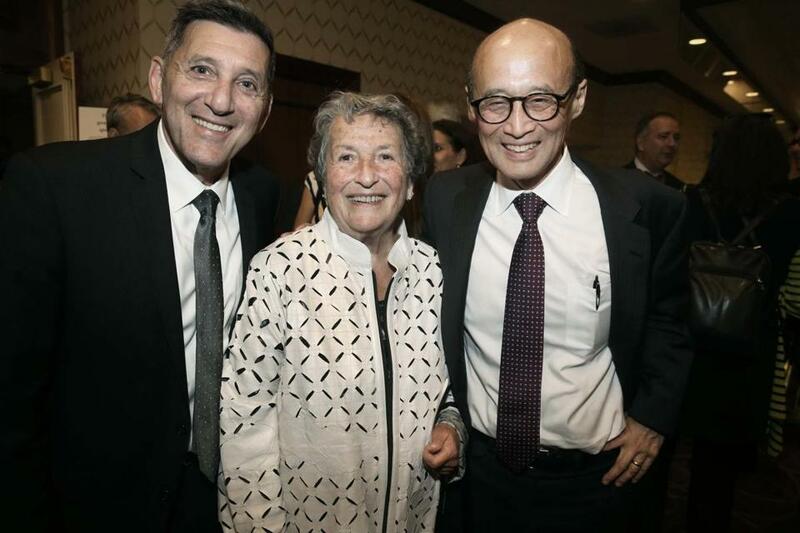 In this 2016 photograph, he is with Dolores Mitchell, retired executive director of the state’s Group Insurance Commission, and Dr. Thomas H. Lee, chief medical officer of Press Ganey Associates. The nation’s former drug czar is bringing his expertise back to Massachusetts. Michael Botticelli, a recovering addict who rose to become director of the White House Office of National Drug Control Policy, will head Boston Medical Center’s new Grayken Center for Addiction Medicine, which aims to become a national leader in fighting opioid abuse. The job marks Botticelli’s second stint in Boston; before his federal work, he spent 18 years at the Massachusetts Department of Public Health, including as director of its Bureau of Substance Abuse Services. The Grayken Center, announced earlier this month, is funded by the largest gift in the hospital’s history: $25 million from billionaire investor and South Shore native John Grayken and his wife, Eilene. It will be a “virtual center” housed in existing BMC space, Walsh said, and will specialize in drug research, treatment, training, and prevention. Botticelli, 59, who speaks openly about his history of alcohol and drug abuse, said his leadership of the center will be rooted in his philosophy that addiction is a public health issue best remedied by treatment, not a criminal justice problem solved by jail time. Instead, he said, addiction should be treated as a disease requiring the same screening, monitoring, intervention, and compassion as any other illness. Among Botticelli’s goals are to make addiction studies part of the curriculum not just at medical schools, but schools of nursing, dental medicine, and public health; to train all medical professionals to become better at diagnosing and treating addiction; and to urge doctors to examine their drug-prescribing habits, since prescription drug abuse leads to many cases of opioid addiction. Botticelli also wants to increase availability of the overdose-reversal drug naloxone and expand needle exchange programs, which studies show reduce the spread of infectious diseases. Personal experience has shaped his professional views. “My story is not unique,” Botticelli said. He began experimenting with alcohol in eighth grade; was a binge drinker in college, which “didn’t seem atypical because everyone else was doing the same thing,” he recalled; occasionally used marijuana and cocaine; and entered substance abuse recovery in his 30s after being arrested for causing an accident while driving drunk. This November will mark his 29th year without alcohol or drugs. “We don’t say to people who smoke, ‘We’re going to wait till you have lung cancer before we offer you treatment,’” he added, noting that health care professionals frequently miss early warning signs of substance abuse and addiction. A native of upstate New York, Botticelli graduated from Siena College in Loudonville, N.Y., and has a master’s degree in education from St. Lawrence University in Canton, N.Y. Prior to his government positions, he worked for private substance abuse treatment programs in Massachusetts and New Hampshire. For the past five years, Botticelli has been in Washington, where, as director of national drug control policy, he guided President Obama’s strategy for reducing illegal drug use. As a presidential appointee, he was required to resign when Donald Trump took office in January. Botticelli begins his new job part time on Monday and will become full time May 15.